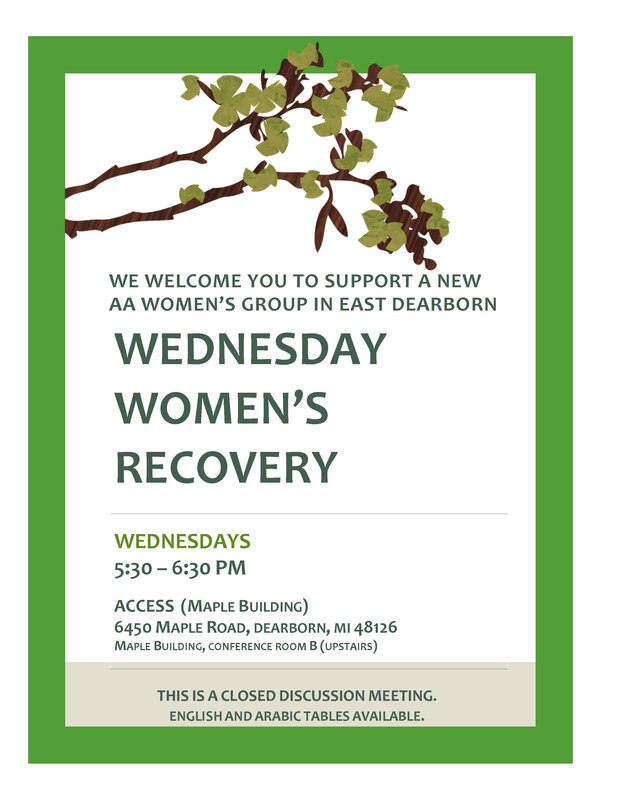 Alcoholics Anonymous will be hosting Wednesday Women’s Recovery events every Wednesday at the ACCESS Community Health and Research Center located at 6450 Maple St. Dearborn, MI 48126. These events will be closed discussion meetings held from 5:30PM – 6:30PM, and resources will be available in both English and Arabic. Check out the flier for more details.